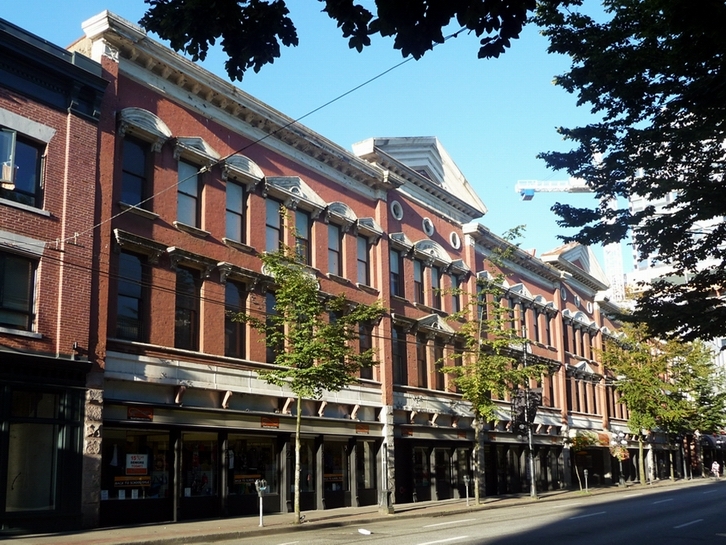 Springer and Van Bramer (sometimes written as Van Braemer or Van Bremer) were two of Vancouver’s earlier developers, known to have partnered to build the Springer-Van Bramer Block, sometimes referred to as the Masonic Hall, on West Cordova Street in 1888. 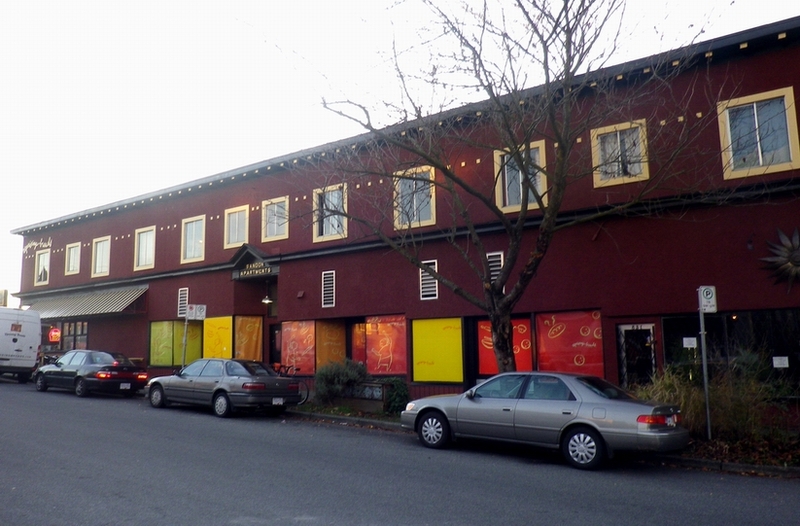 In fact they pre-date Vancouver, both having been active in Granville, the township that preceded the renamed city, and the block we know today was their third real estate project. 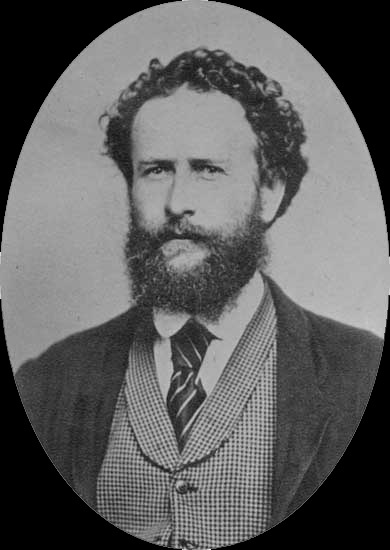 Benjamin Springer was born in Melbourne, (or London) Ontario in 1841, started out in civil engineering and came to BC to join the Cariboo gold rush in 1862, after a year looking for gold in California with his brother-in-law, Jonathan Miller. 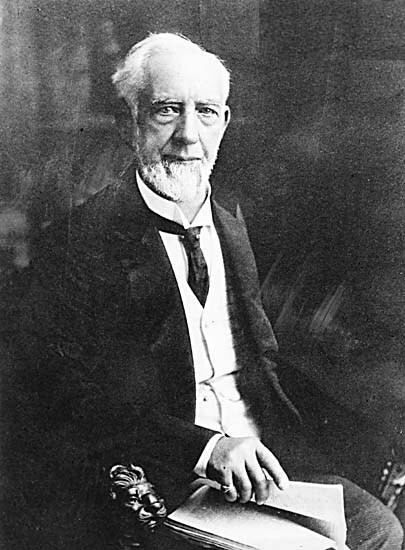 He remained in Cariboo engaged in mining for nine years and during that time he developed claims on Williams, Antler, Lowhee, Keithley and Mosquito creeks. 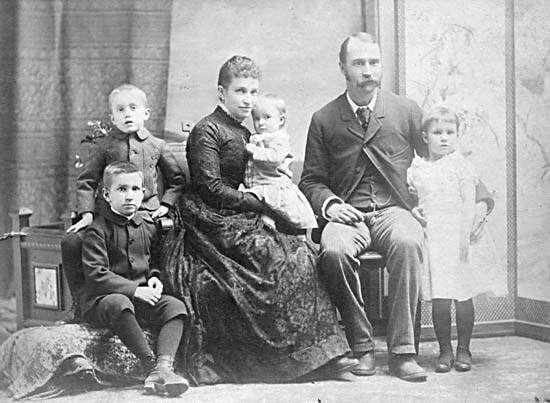 He headed to the small town of Granville in 1872, and became book-keeper for the Moodyville sawmill on the north shore of Burrard Inlet in 1874, marrying in that year and becoming mill Manager in 1882, moving to ‘the big house’ and retiring in 1890. 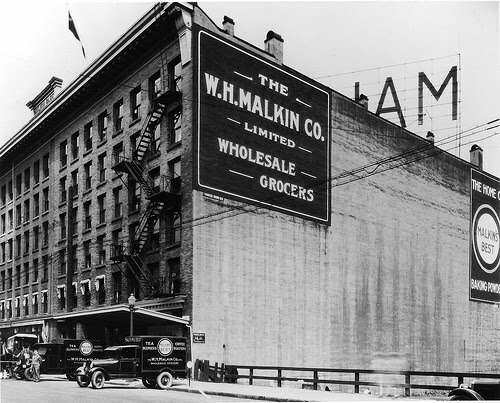 Springer partnered Van Bramer in his steamship business, and as well as the Vancouver buildings they developed. 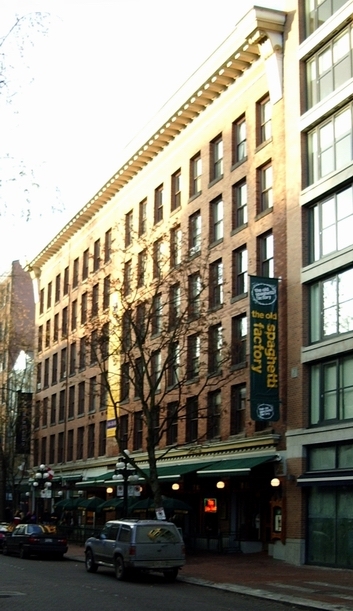 They also shared ownership of the BC District Telegraph and Delivery Company, obtaining a 50 year franchise for the operation of district telegraph systems in Vancouver and Victoria. Initially, the company provided the transmission and delivery of telegrams to its customers. This service soon evolved into the provision of signal boxes for watchmen and guards, by which the individual could signal his well being at specific intervals to the central office. On retiring from the sawmill Springer partnered in a new company with Captain Mellon, handling merchandise consignments. Ben’s role as Vice-consul for Sweden and Norway was useful in this new venture. They also acted as agents for Fire Insurance companies based in Britain, and marine insurers in the US. 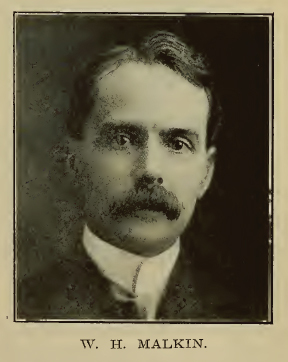 An 1890 portrait of Ben Springer said “Mr. 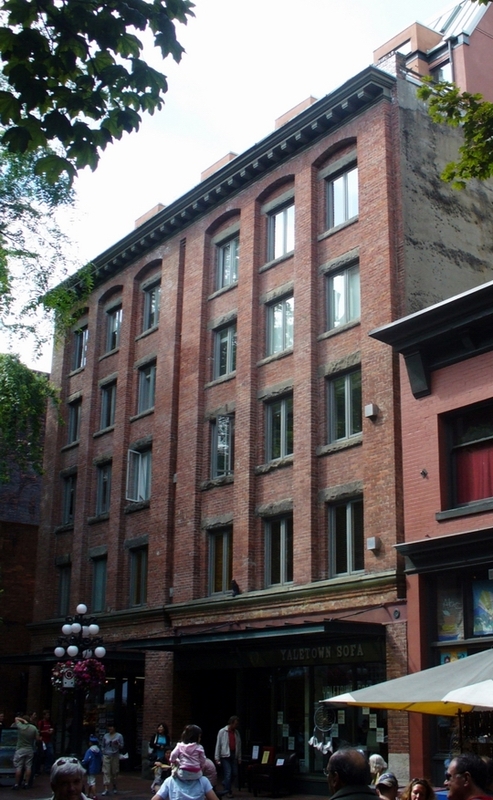 Springer owns considerable property and has erected a number of pretentious buildings in the city, among which is the Masonic Temple block and also the Leland block on Hastings street.” As this was otherwise a glowingly positive piece, presumably pretension was acceptable or even admired in the late 19th Century. Ben was both a Mason and a member of the Ancient Order of United Workmen, was a Justice of the Peace and also acted as School Trustee for over ten years. 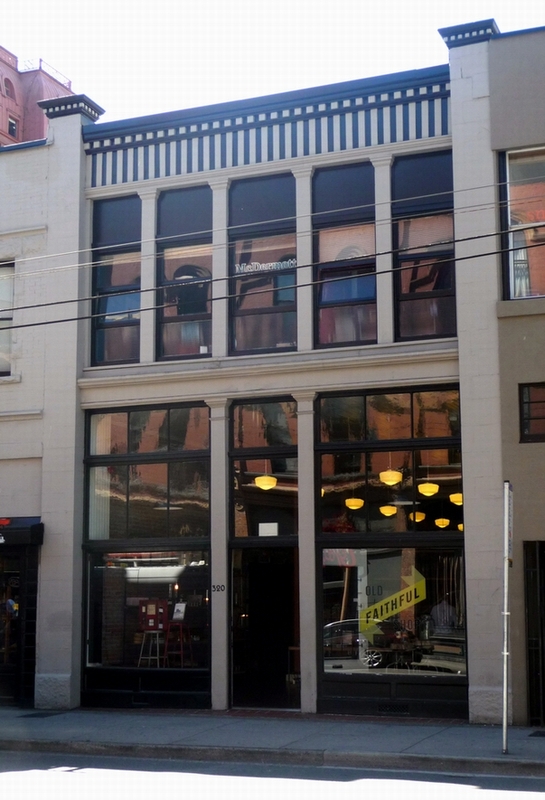 The most likely candidate for the first Springer-Van Bramer block is a two-storey brick building at 320 Cordova Street (opposite the building today known as the Springer Van-Bramer Block). It is clearly an early building (although it is possible that the facade has been changed some time after construction). 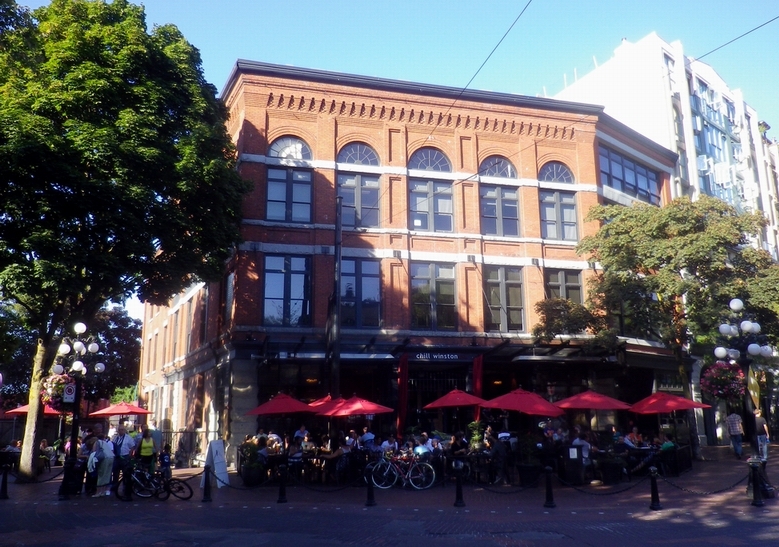 In the 1887 Elector’s list the owner of the lot that the building sits on was T C Sorby – the only parcel of land that he owned in Vancouver. 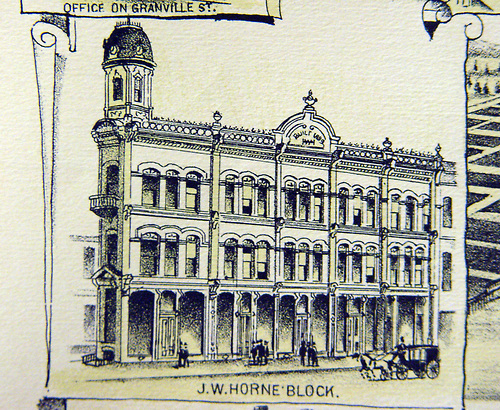 In August 1886 architect Thomas C Sorby placed a notice in the Colonist newspaper “Parties desirous of tendering for a two-storey Brick Block to be erected in Cordova Street, Vancouver, for Messrs Springer and Van Bremer can see the drawings in my office. The proprietors reserve the liberty of declining any or all tenders”. 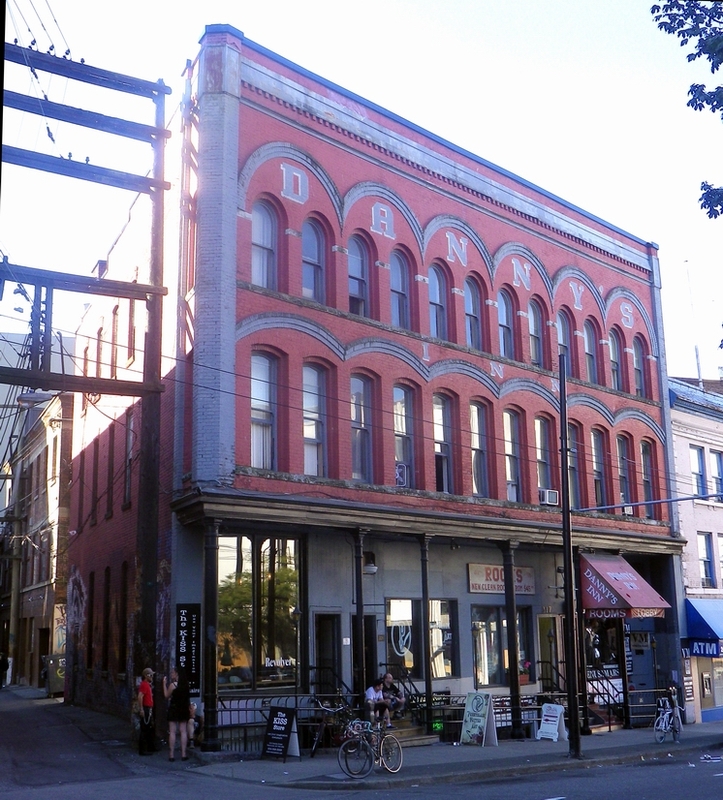 There was a second Springer-Van Bramer block built a year after the first block, in 1887. 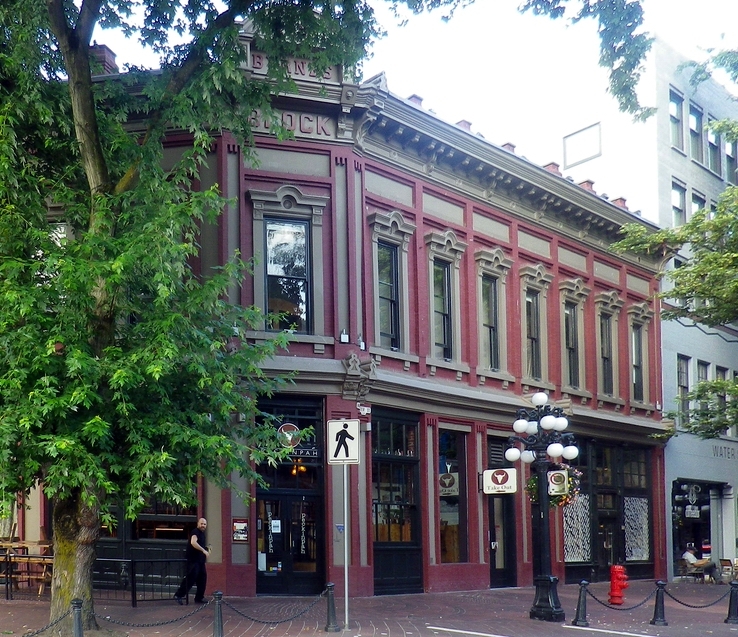 This time the architect was N S Hoffar, and the building was said to be located on Hastings Street opposite the Leland Hotel. 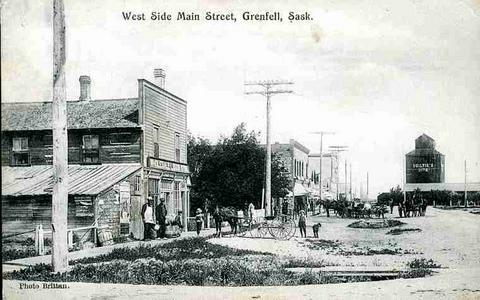 It was altered again in 1889. 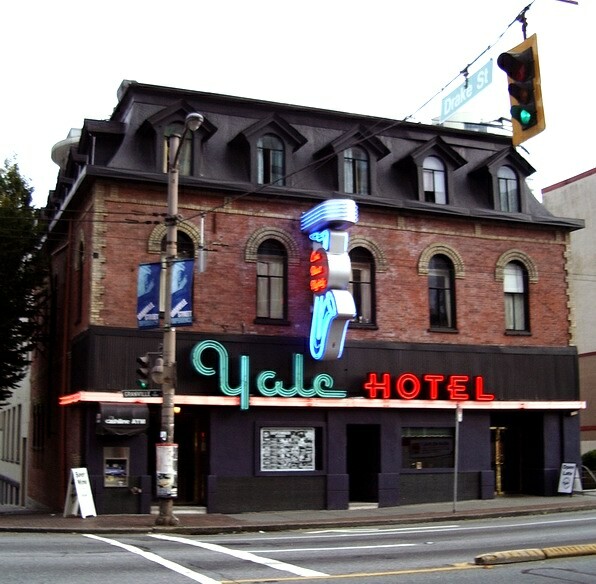 The Leland Hotel was located on the south side of the 600 block of Hastings, between Granville and Seymour Streets. 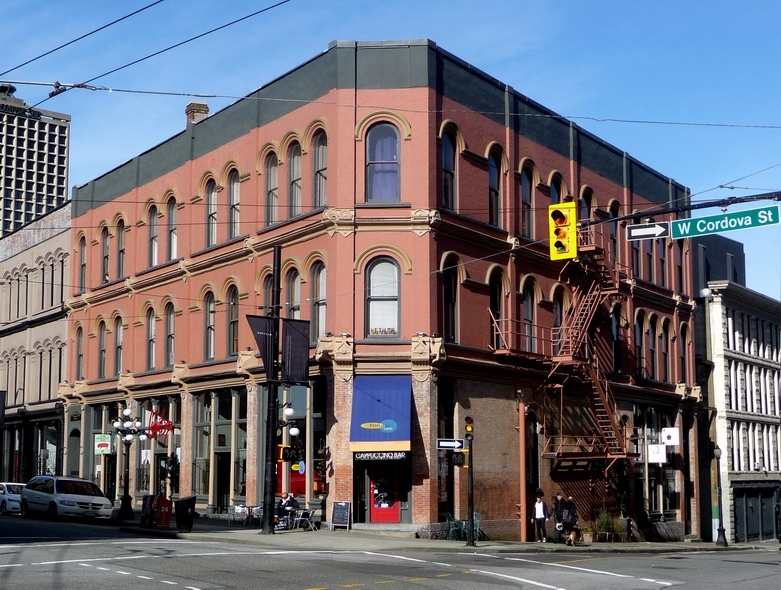 There’s some confusion asbout the use of the name ‘Leland Block’, (rather than the Hotel) In the Major Matthews archives The Leland Block is described as either the first, or perhaps the second brick-built structure in the city, and on Cordova Street, but an 1890 Daily World profile puts it (probably wrongly) on Hastings. James Van Bramer is something of a man of mystery – although he was an American, and was frequently called ‘Captain Van Bramer’, we don’t know where or when he was born, and there are no identified images of him, although there is one description of him as “a little man with a beard“. 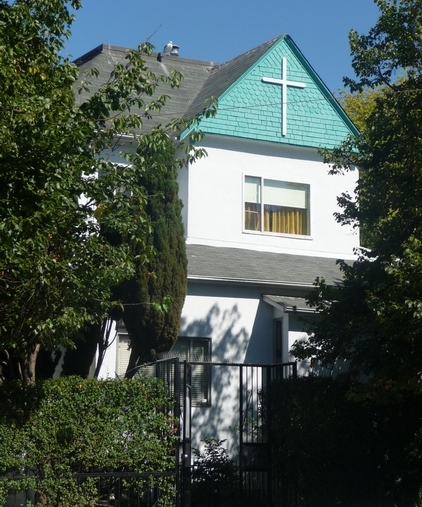 It’s possible he was born in New York, as most othe US Van Bramer family members lived there. 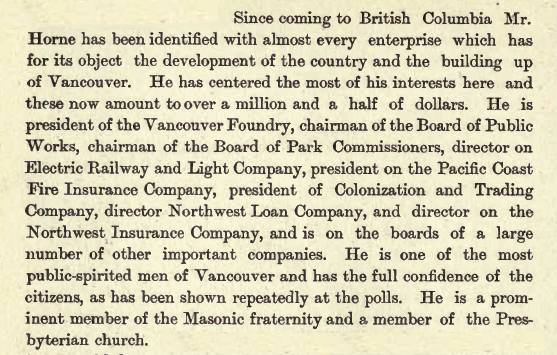 We know he arrived in BC around 1860 and was part of a syndicate formed by Sewell Prescott Moody to build a steam powered sawmill in New Westminster in 1862; a project that didn’t last long as the first boat to load lumber got stuck on a Fraser river sandbar for six weeks, dissuading other ships from taking the mill’s lumber. 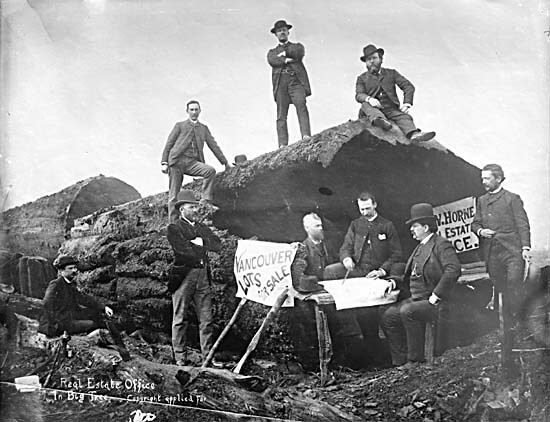 The same group incorporated the British Columbia Coal Mining Company in 1865 to expolit the coal in Coal Harbour, but nothing came of that venture either. 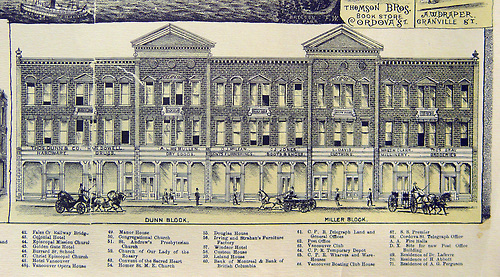 In 1863 Moody and Van Bramer joined the Masonic Union Lodge No. 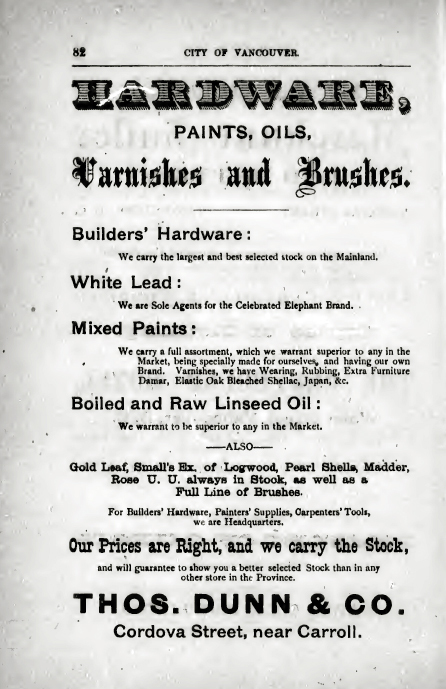 899 ER on the north shore, and in 1865 Van Bramer was a member of the group who bought the mill on the north shore, selling out his share a year later. 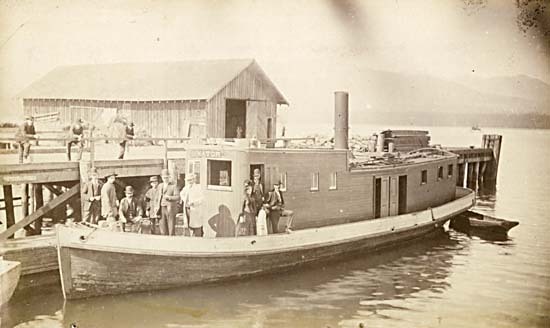 In 1866 the Sea Foam – a steam tug owned by Van Bramer began regular ferry service between Brighton and Moodyville across the Burrard Inlet. It is described as “quite a nice. comfortable and airy conveyance“. 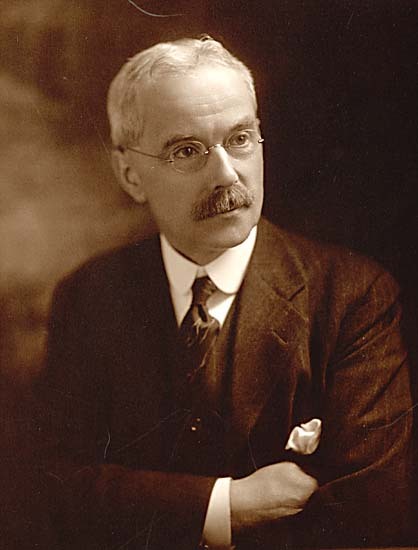 Joseph Mannion recalled the service in an article in the Province in 1909 “The waterfrontage extended from the Sunnyside hotel to the Methodist parsonage, and consisted of a beach which, when the tide was high, was very shallow, for a considerable distance from the shore. To allow passengers landing from the ferry a long floating wharf about four feet wide, and consisting of two-inch planks nailed to logs which crossed them at intervals of ten or twelve feet, extended out to sufficiently deep water to allow of the little steamer mooring alongside. The ferry was owned by James Van Bramer, who carried on a regular service on the inlet as follows: leaving Moodyville at 7.30 a.m., the steamer came across to Gasstown, and leaving there called at the Hastings Mill, picked up the medical officer of the milling companies and returned to Moodyville. 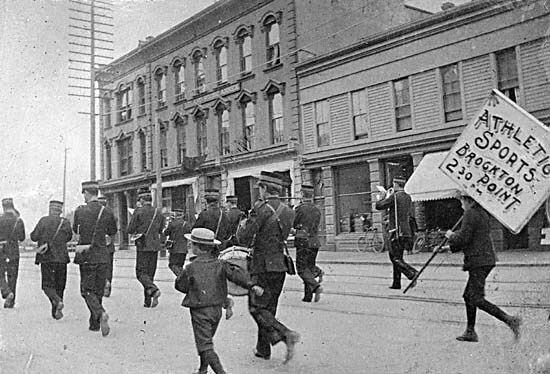 Then it ran over to Hastings and met Lewis’ stage from New Westminster which brought in a daily mail from New Westminster.” Captain Van Bramer, despite the title, employed a crew to operate the ferry. In November 1867 the Sea Foam blew up, fortunately causing no serious injuries. It was joined (or replaced) by the Chinaman and the Lily. 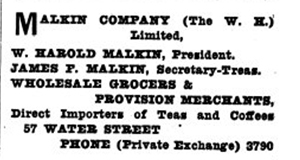 In 1869 he appears to have partnered George Black, the local butcher, in purchasing cattle and sheep. In 1871 Van Bramer is listed as a resident of Granville; later he moved to the north shore, probably with his wife and family. 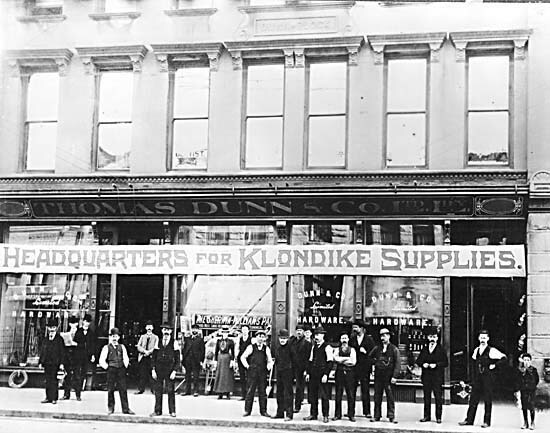 In that year he was part of a syndicate, with Hugh Nelson, Sewell Moody and George Dietz, along with several others, who bought the rights to the Eureka silver mine, near Hope, with shares of $150,000. The Van Bremer mine yielded ore with as much as $2,000 worth of silver per ton, and sold in San Francisco at $420 a ton. 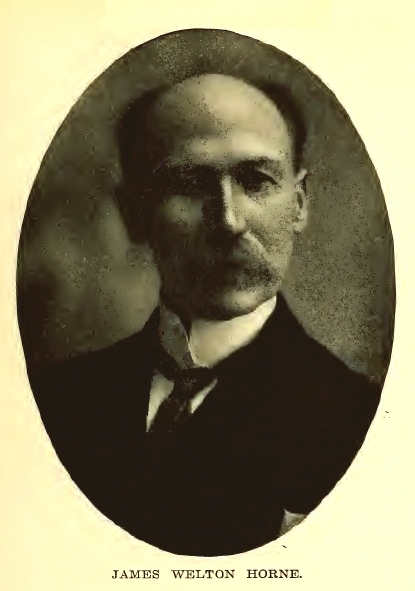 Captain Van Bramer was also partners in the 1880s with Hugh Nelson, in a mine on Texada Island. In 1873 he took over mail delivery across the Inlet, receiving $300 a year from the postmaster general. In 1876 he had the Leonora built in Victoria as a mail and ferry boat. Bill Nahanee, in a conversation with Major Matthews of the Vancouver archives recalls “In his cottage on the hill there lived with him an Indian woman, her name was Lizzie, her Indian name Ka-ak-sala; she belonged to the Katzie Indian Reserve up the Fraser River. She was a young woman, and they had three children. There was Louisa, Leonora, and the youngest one whose name I don’t recall. I don’t know if he named the tug Leonora after his second daughter, or not, but it would seem so”. 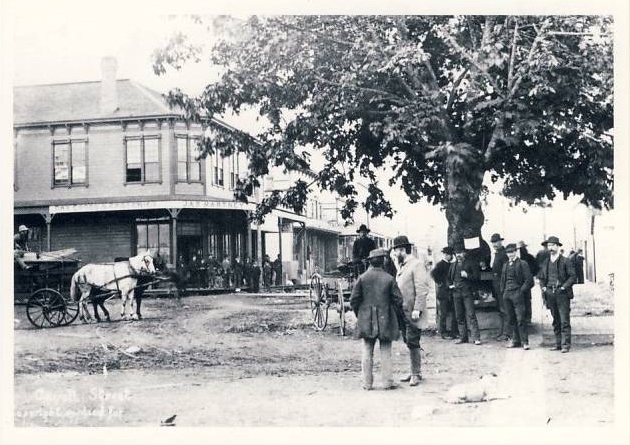 He lived in Moodyville rather than Granville, and was recorded there in 1882, described as a steamboat captain. In 1888 the Senator was launched. (Captain Van Bramer may of course be in the picture below). Later, when he sold the launches to the Union Steamship Co and went to the US, his older daughters apparently went with him, and his wife took the youngest back to the Katzie reserve. 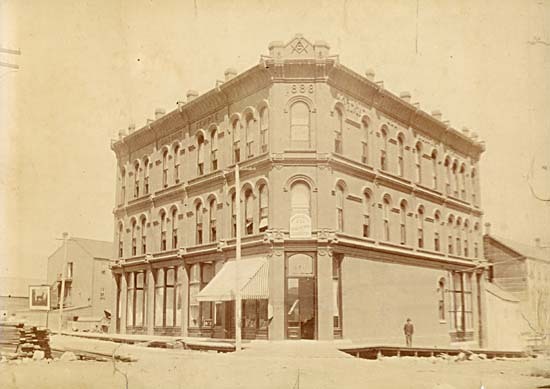 The third building that we know the men partnered to build is a flatiron building on West Cordova Street, designed by N S Hoffar, and completed in 1888, with 5 stores, second floor offices and the Masonic Temple and Oddfellows’ Hall on the third floor. 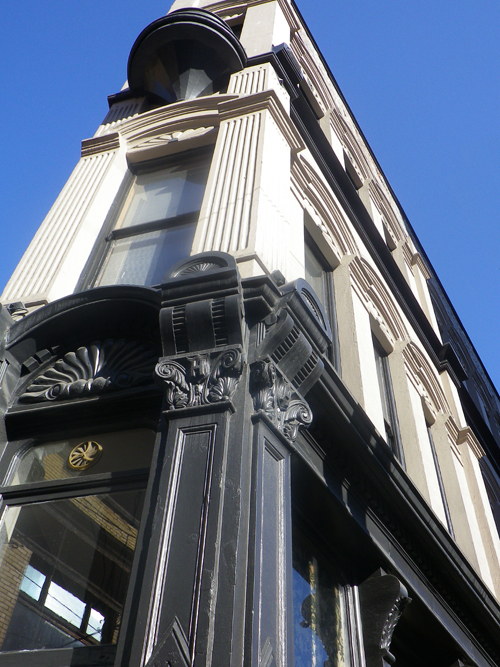 The building still stands today, relatively unscathed, although the elaborate cornice and Masonic Insignia have been removed for safety reasons. Van Bramer had a more exciting retirement. 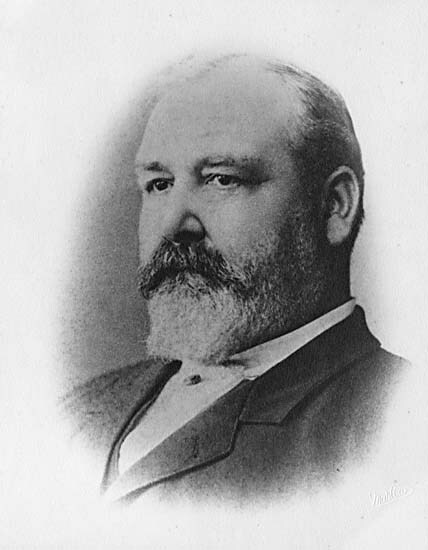 He relocated to California on or before 1888, although he visited Victoria as late as 1894. 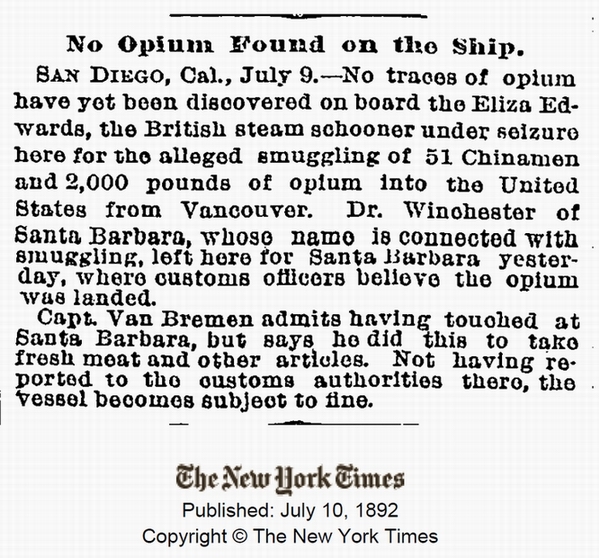 In 1892 a San Diego dispatch to the Post Intelligencer reported: “The steam schooner Eliza Edward was today fined $1,400 for landing and taking on cargo at Santa Barbara without complying with the customs regulations. Captain Van Bremer paid the fine cheerfully, and took out clearance papers for hunting and fishing. He plans to leave this port Monday. The charges of smuggling were dismissed for want of actual proof.” In explanation, the Seattle paper adds: “The sealer Eliza Edwards of Vancouver was supposed to be in the smuggling business. When she sailed from the home port recently she announced her destination as Cocos Island off Costa Rica to hunt for $6,000,000 buried by pirates. She hove too off Victoria and, it is supposed, took out a cargo of Chinese and opium. She slipped into the port of Santa Barbara, Cal., and was off again before the customs officers knew it, and it is supposed she landed her cargo. 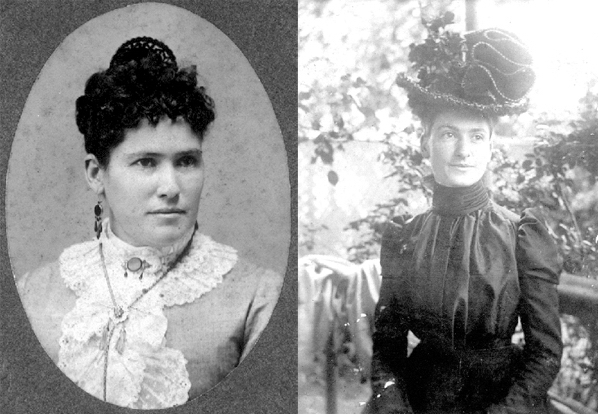 When the Edwards left Victoria she announced her destination as Valdivia, Chili; at San Diego, he said he was bound for the Hawaiian Islands”. 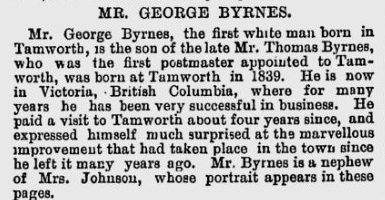 (Victoria Daily Colonist Tuesday July 11th1892). The story was widely reported. The New York Times made several attempts at identifying the Captain, none very accurately. Because the same story appeared in other papers, including the Colonist in Victoria, we know it is James Van Bramer. The Captain died in Santa Barbara in 1895 not long after returning a further mysterious voyage to the Cocos Islands to search for the buried treasue he believed was there. In a curious postscript to the story, an edition of the Victoria paper three months after his death claimed that “Captain Van Bremer’s Dream Proven a Reality – Millions Recovered From Their Hiding Place”.